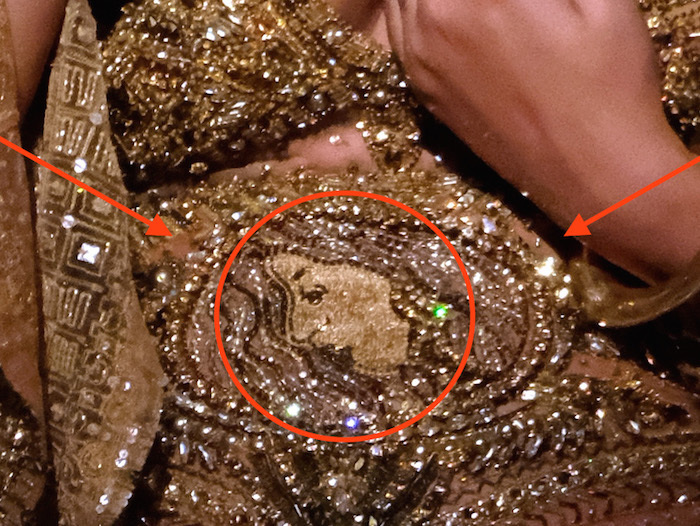 ICYMI: Beyoncé wore a dress with her own face on it at the Grammys. 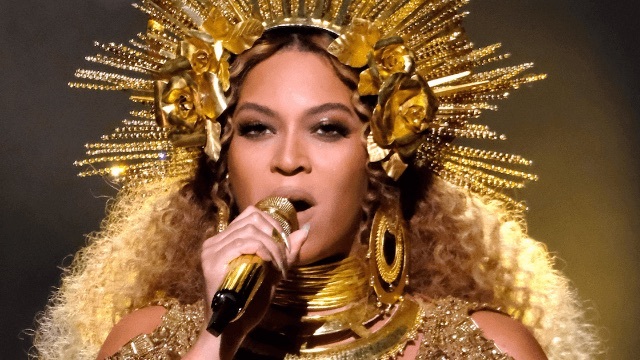 We already knew that Her Majesty Beyoncé looked like a queen at the Grammys—it's as easy as having eyes—but her designer discussed with Vogue how she was a goddess as well. Peter Dundas, the genius behind the golden sheath, talked to Vogue about the symbols stitched into the beadwork. 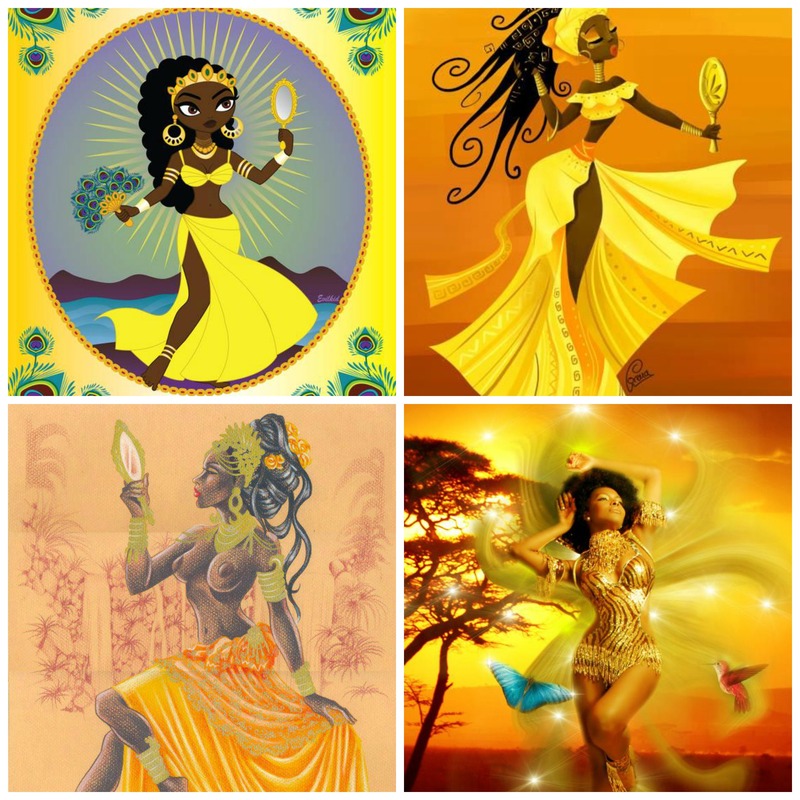 "Sun rays symbolize the African goddess Oshun. Dundas also added two cherubs on the hips dressed in ivy and Beyoncé’s face on the center," Vogue writes. 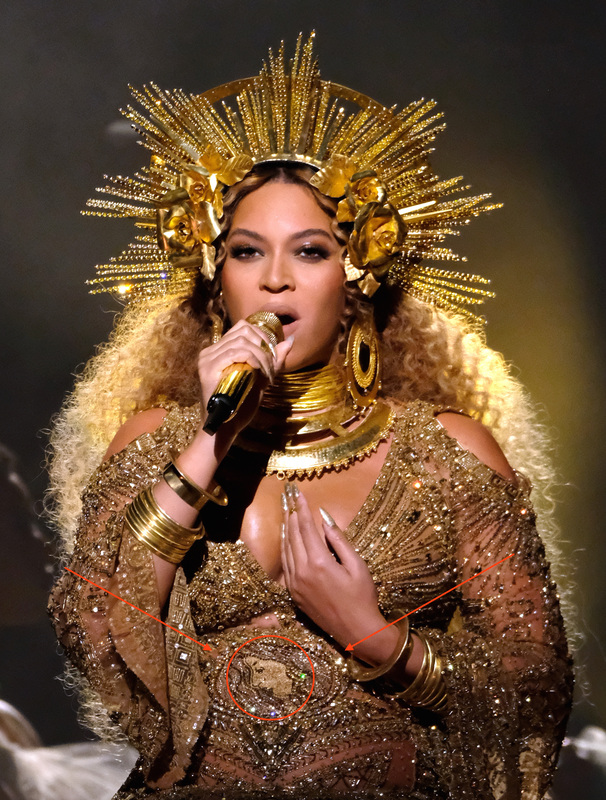 The cherubs on Beyoncé's hips are tough to see in pictures, but the face, on the other hand, is right in the center. That is Beyoncé's face, proudly looking down upon the twins. The look was inspired by Oshun, the African Goddess of Love and Sweet Waters. Africa Resource explains, "She is known for healing the sick, cheering the sad, bringing music, song and dance, as well as bringing fertility and prosperity." That does indeed sound like Beyoncé. In addition to African religion and Beyoncé's blessed pregnancy, Dundas said that he took inspiration from "Gustav Klimt...Art Deco motifs inspired by Erté, and lyrics from Beyonce’s song 'Love Drought.'" They should be teaching this dress in school.